Interested in spending a few days on the water this summer? Looking for something besides a pool? Or maybe your family prefers to enjoy natural water features while keeping your feet firmly planted on the sand. Here are eight ways to enjoy water this summer, whether your family prefers a wild adventure or a quiet day outside. The only pools you'll find on this list are tide pools! A standup paddleboard lets you experience gliding over the water and is a sport that can suit many different skill levels and temperaments. Depending on your child's age, they can ride with you or paddle their own. As a beginner, rent a board or take a lesson and learn how to paddle and control the board. 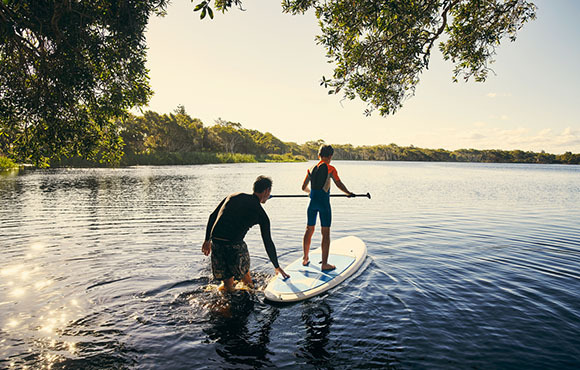 Once you are comfortable, SUP can be a family activity for this summer and years to come. 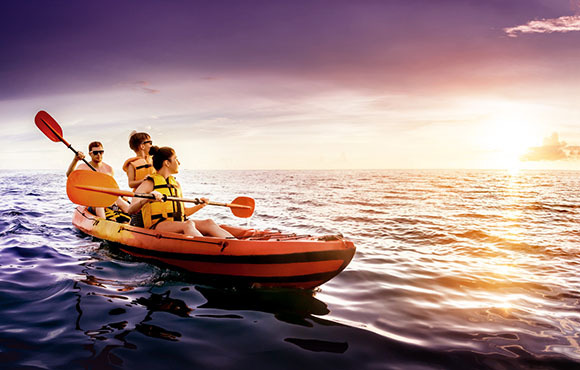 Like paddleboarding, kayaking can suit people who are looking for a flat-water cruise or a little adventure. Kids can have fun in the shallows of a lake with a sit-on-top kayak. For those looking to go out a bit farther, try a flatwater paddle in a single or tandem kayak, keeping the stronger, more experienced paddler in the back. Your family can see rock formations, fish, plants and the shoreline all from a new perspective. 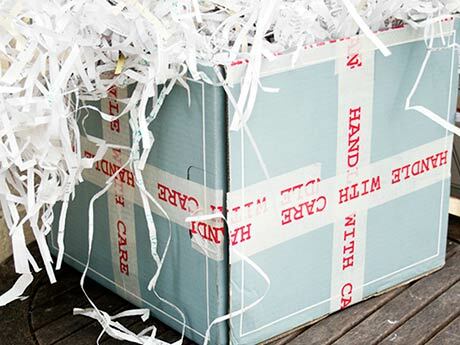 Have an adventurous family with older kids? Maybe whitewater kayaking is for you--after a little instruction, of course! There are kayaking schools across the country and even whitewater parks in some cities. Looking for a day trip with the family? 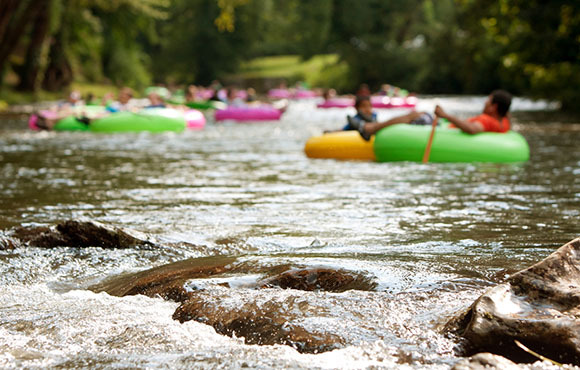 Also called a river float, river tubing is another way to enjoy the water. Each person rides on his or her own tube (small children can ride with a parent) starting upriver at a "put-in" point and ending a set distance away down river. You'll need to find a company that provides a river tube and transportation back to your starting point, as well as safety education. Like kayaking, the intensity varies. You can find a river float that is entirely flat water, pushed by a gentle current, or one that takes riders over small rapids for a unique thrill. Looking for a calm paddle or want to keep the family together in one boat? Canoeing might be the answer! 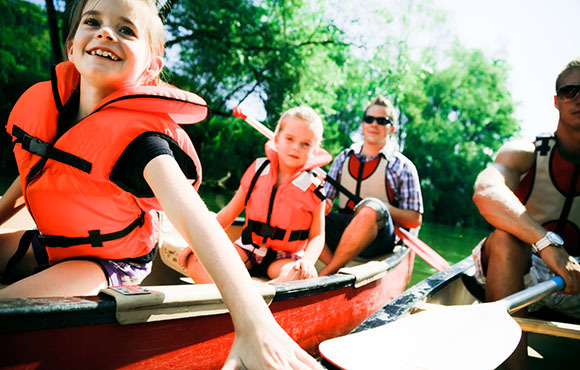 You can fit a family of three to five in one canoe, depending on the kids' ages and the boat. Plus, kids who aren't ready to paddle can just ride along. Canoes are stable, can carry a picnic to your destination and will still open a new view of a familiar area. Look for a canoe rental on a lake in your area. Watch the fish swim beneath you. Granted, traditional snorkeling may only be available if you are lucky enough to live near an ocean or reef, but don't underestimate the excitement of seeing an underwater world for the first time--even if that world is sand, grass and hermit crabs in a local lake or spring. 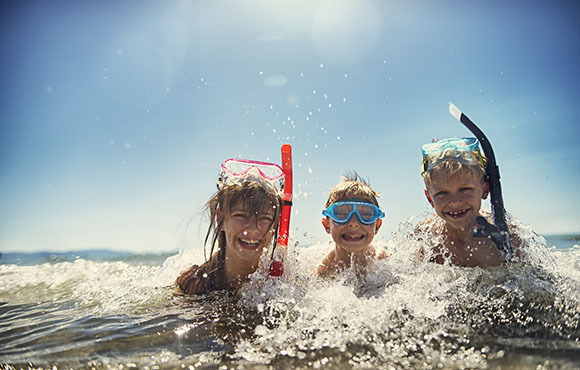 Kids can enjoy the novelty of breathing through a snorkel, even if the sights are limited, and younger kids can hold an adult's hand in the water. We know we said no pools, but for kids trying a snorkel for the first time, a pool can also be a great place to start. Check with the lifeguards; rules about snorkels in pools vary by location. If you live near a coast or sound, love being around the water and prefer to explore areas by foot, visit a local tide pool. Tide pools create entire habitats for the life inside them and are full of unique plants and animals. Some beaches or aquariums offer naturalist programs to help people learn more about the ecology of the area. 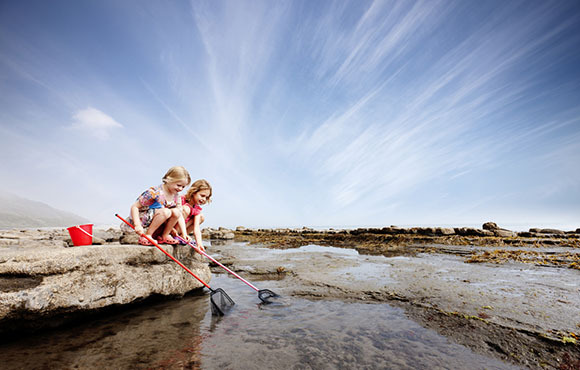 Tide pool exploration also offers a great mix of activities: Budding scientists can study the plants and animals, then run down a beach and turn cartwheels in the sand. There's nothing quite like the thrill (and giggles) from dipping your toes into the water at the shoreline. Jumping, chasing and splashing in small waves introduces kids to lake or ocean water in a fun and safe way. It also burns some energy and is fun for the entire family. 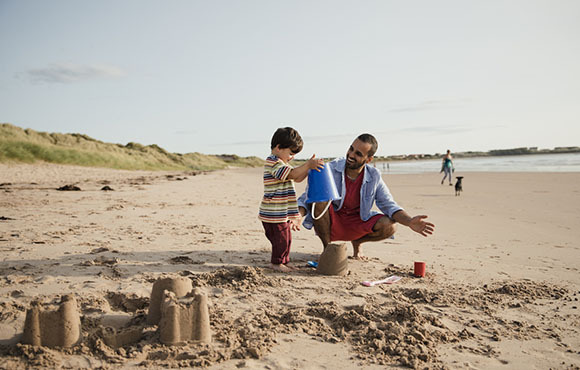 Building sandcastles is another fun family project. Start small, piling sand with your hands, or work with sand tools to make a detailed structure. If you build close to an incoming tide, wet sand will mold to your creation, and you can watch the ocean fill the moats with water. Be warned: Nature and the tide will also wash the castle away! If you choose to build in a drier location, bring sand buckets to carry water to fill the moats and make the sand stickier while building.